On Thursday, 1st March the team from Sport North East along with various council and community leaders met with Dr Bridie O’Donnell, Head of the Office for Women in Sport and Recreation. 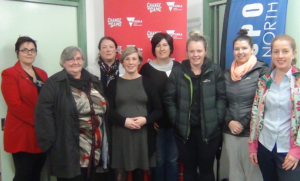 This new Office has been created to implement the nine recommendations from the Inquiry into Women and Girls in Sport and Active Recreation and deliver further Change Our Game initiatives to boost participation and create more leadership opportunities in sport for women. The Round table Discussion, held in Beechworth was an invitation to discuss and contribute our expertise and experiences of steps to increase female participation and leadership in our regional communities, how we are progressing with developing safe and inclusive sporting and recreation cultures, and barriers to gender equality in sport and recreation in general. 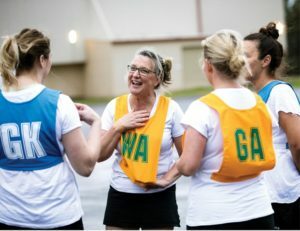 As Head of the Office for Women in Sport and Recreation, Dr O’Donnell plans to focus on changing the face of sport and recreation so that woman and girls can see a future in sport that welcomes their skills, passion and participation.